This project is part of a strategy for the redevelopment, modernisation and improvement of services for those people with Learning Disabilities across the whole of Scotland. Due to the small numbers of patients involved within each area, the four South East Scotland Health Boards of NHS Fife, NHS Forth Valley, NHS Lothian and NHS Borders agreed to work together to develop a Learning Disabilities Managed Care Network. 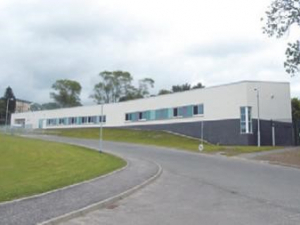 The Regional Learning Disabilities Unit (Daleview) at Lynebank Hospital, Fife has been operational since April 2012. It is a regional unit providing low secure in-patient services with 11 patient bedrooms with associated day accommodation and servicing. Design of all Mechanical and Electrical Services including underfloor heating, ventilation, BMS, domestic services, small power, lighting, fire alarms, panic attack, and connections to the existing hospital’s infrastructure. Particular attention was required to anti-ligature and security issues as the unit is classified as low/medium secure.